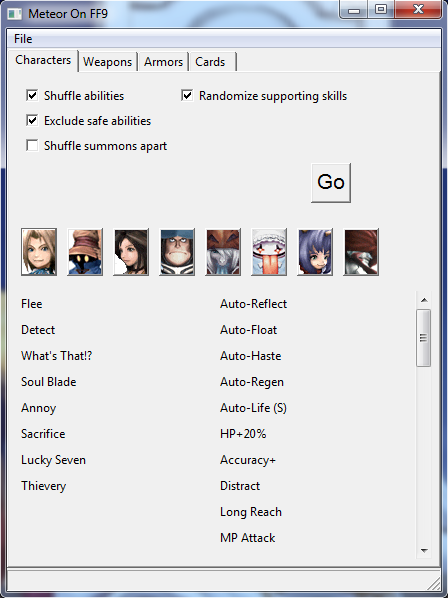 Meteor On Final Fantasy IX is a tool that allows to randomly modify the abilities of Final Fantasy IX playable characters. Which ability can be used by characters and which abilities can be learned by pieces of equipment can be randomized (separately). As an extra, you can also randomize the cards dropped by the enemies as well as the card decks you play against for the Treno tournament part of the game.